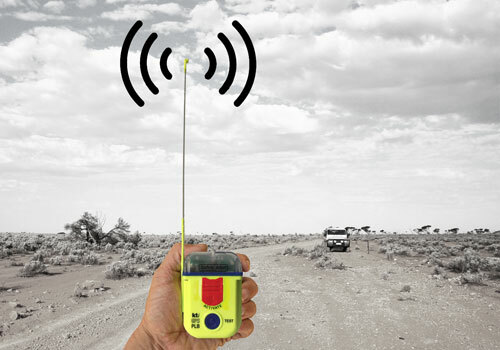 If you break down, have an accident or get lost away from phone range, the KTI Personal Locator Beacon will alert rescuers via satellite and send them your exact GPS coordinates so you can get rescued. 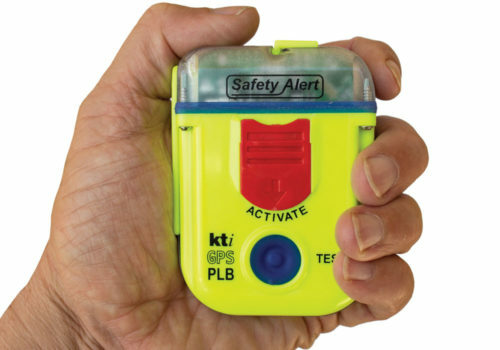 Carry a KTI Safety Alert PLB with you on your next adventure . . . If you spend any amount of time off the beaten track then a KTI PLB could save your life! If you're into action sports like skiing, motorbike riding, horse riding etc., add a Neoprene Armband to your order for just $12.95 and you can attach your KTI PLB to your arm where it can be easily reached in the event of an accident or emergency. 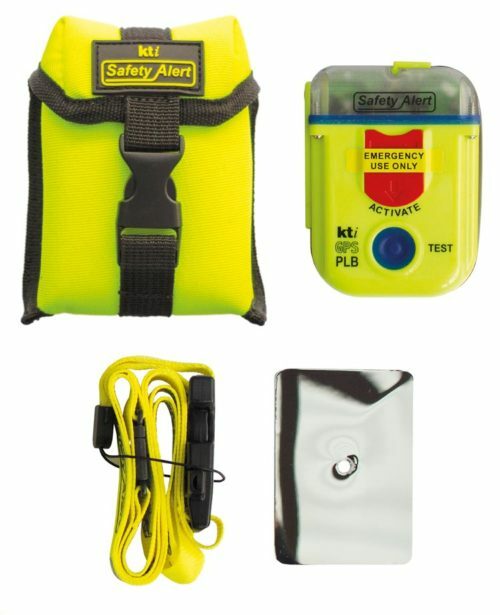 Carry your KTI Safety Alert PLB with you whenever you are venturing away from the mobile phone networks. It's compact, lightweight and waterproof so you can keep it on your belt, in your backpack, glovebox, pocket or strap it to your arm using the optional neoprene armband. You never know when you'll need it . . .
How do I get the battery replaced in 10 years or if the PLB is activated? The current charge for battery replacement and overhaul is AU$154.00 including GST (Please note, this may change in 10 years time). In the event that your PLB is activated in a genuine emergency, KTI will replace the battery free of charge. All freight costs to and from KTI are the responsibility of the beacon owner. Can my KTI Safety Alert PLB still be used after it has been activated in an emergency? KTI recommend that your PLB is returned to their factory for testing after it has been activated because activation reduces battery life. They will replace the battery and run other tests on the PLB to ensure it is fully operational before returning it to you. 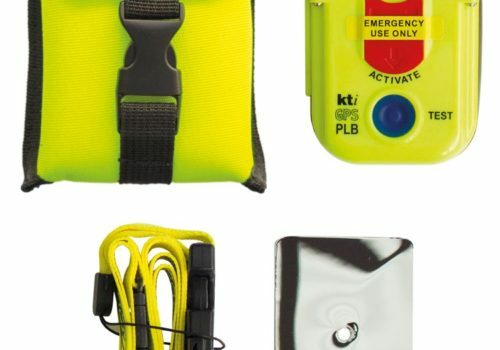 In the event that your PLB is activated in a genuine emergency, KTI will replace the battery free of charge (You will need to pay for the postage to and from KTI). Will my KTI Safety Alert PLB need a clear view of the sky to operate in an emergency (like Satellite phones)? Your KTI Safety Alert PLB transmits high power signals on the COSPAS-SARSAT 406 MHz frequency. Unlike GPS signals, these signals are not readily affected by heavy rain, hail, fog, cloud, tree canopy or atmospheric conditions. Under extreme conditions the GPS within your beacon may not be able to achieve a rapid position fix, however the internal GPS is a secondary system and the COSPAS-SARSAT system can independently locate the beacon. The low power homing signal is transmitted on 121.5 MHz and this frequency is also very robust in challenging environmental conditions. Your beacon cannot transmit signals from under water. This includes packed snow, so if activated in heavy snow precipitation then your beacon should be periodically moved back on top of the accumulating snow. Your beacon cannot transmit signals from underground. In the case of a deep canyon the window of visibility to satellites will be reduced and to improve detection, if practical, it is better to position your beacon towards the top of the canyon. Will it work outside of Australia? Search and rescue operations are coordinated internationally and the beacon can be detected anywhere in the world. As a general rule beacons can only be registered with the same country as coded in the beacon. The KTI Safety Alert PLB has been approved by the COSPAS-SARSAT secretariat, the international administrator of the COSPAS-SARSAT satellite network. Many countries have additional local requirements and the KTI Safety Alert PLB has not been assessed or approved to any requirements specific to those regions. The KTI Safety Alert PLB can be factory coded with any COSPAS-SARSAT listed country code together with manufacturer-assigned serial number. You should seek advice from the Search and Rescue Authority in the country you are visiting to determine if their registration database accepts PLB coding with manufacturer-assigned serial number and to determine an appropriate country code to use. Additionally, if you are travelling overseas, you should contact your airline to gain explicit approval to carry this product on the aircraft. Each airline may have their own policy regarding if and how the PLB may be carried. I bought one of these for when we go camping with our boys on school holidays and long weekends. We're out of mobile range most of the time so it's a good backup if we need it. Registered it on the AMSA website when it was delivered which was easy enough.